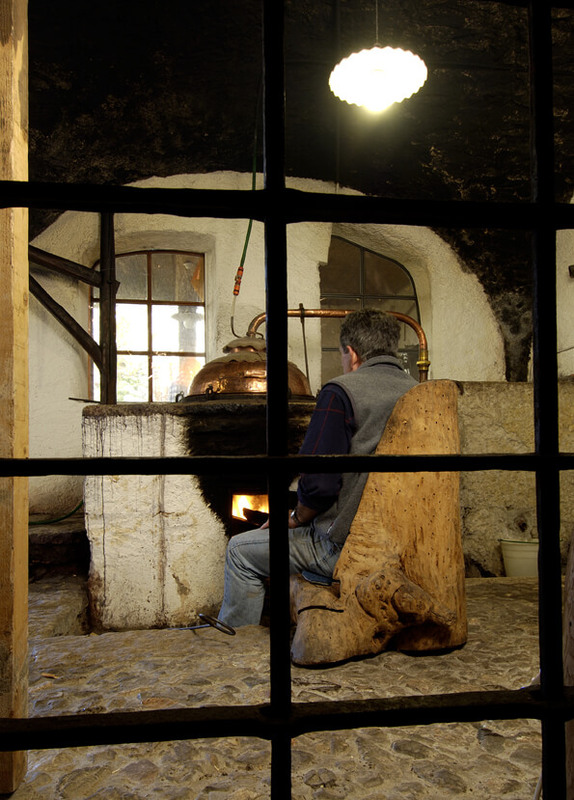 Inside the building there is a small distillery where every year the Bettanini Virdia family distil the fine grappa ““Rugiada delle Alpi” (Alpine dew). 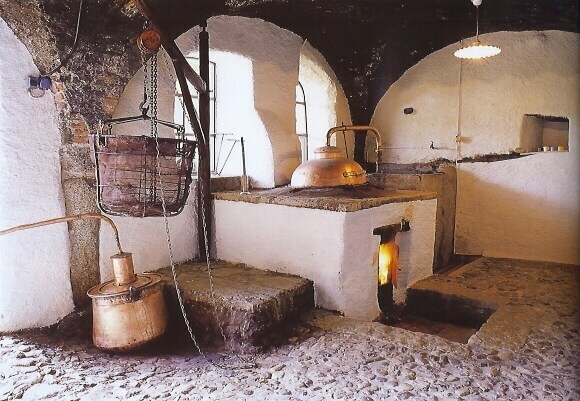 The distillery, located next to the cellars under the spacious vaulted ceilings of the basement of the owner’s house, uses an old still (dating back to the late eighteenth century) heated by an open wood-burning fire. 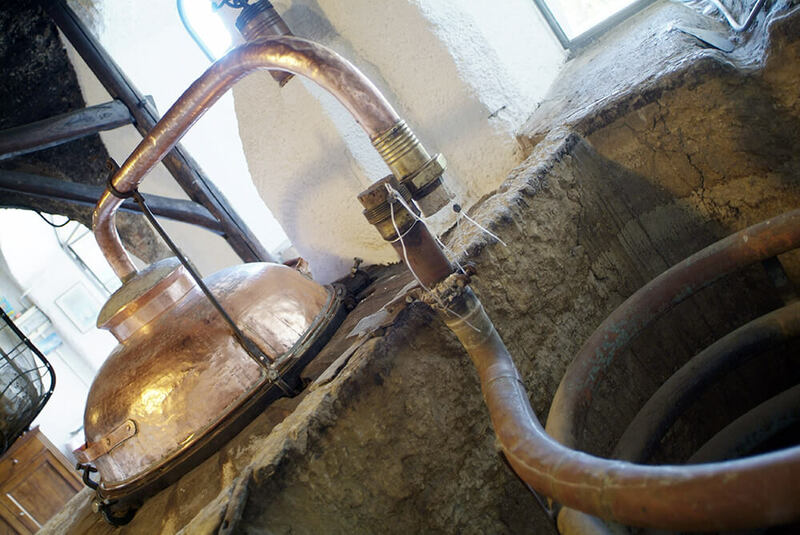 The distillation began in the early nineteenth century when times were hard and nothing was wasted. 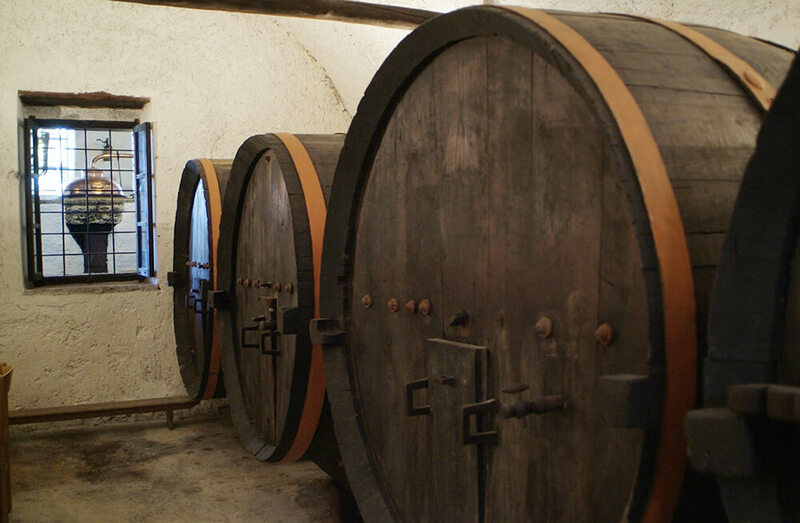 Marco Bettanini decided to buy and install the still to use the marc (“vinaccia”), the meagre residue from the making of wine. 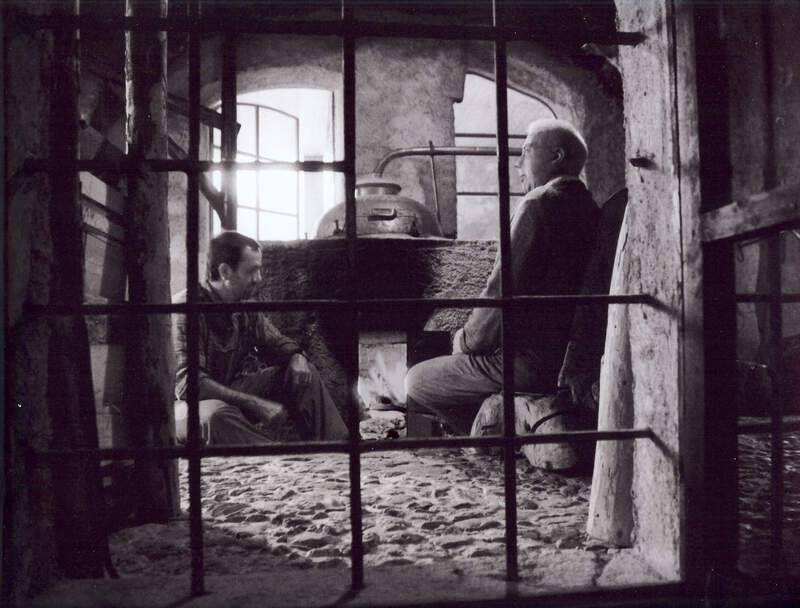 Later, around 1930, Alessandro Bettanini named the grappa “Rugiarda delle Alpi” on the suggestion of the famous Italian poet Gabriele d’Annunzio, who, frequenting the area and appreciating the product, poetically united the place the grappa was produced “at the foot of the Alps” with its crystal-clear appearance that resembled dew-drops. 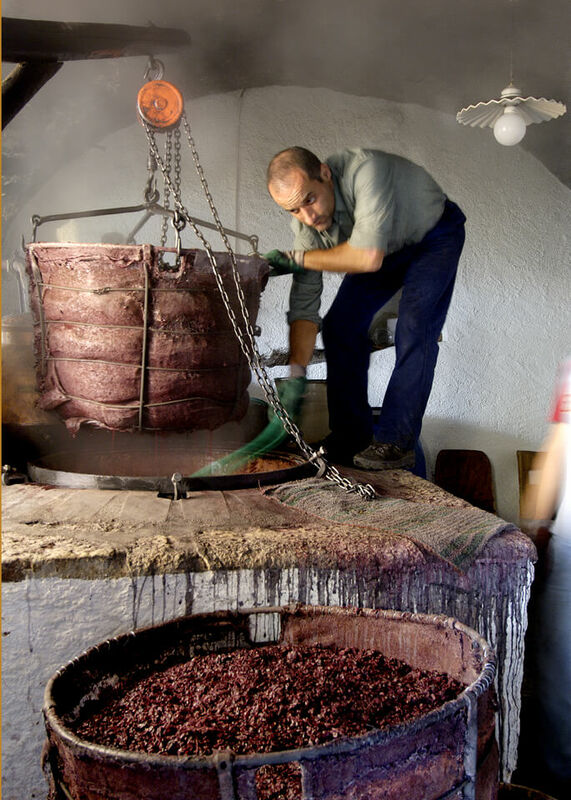 Thanks to the enthusiasm for the slow pace and simple things of the past and the willingness to preserve this tradition that all the members of the Bettanni Virdia family share, the ancient ritual of distillation is carried on every year using the same equipment and the same method as in the past. 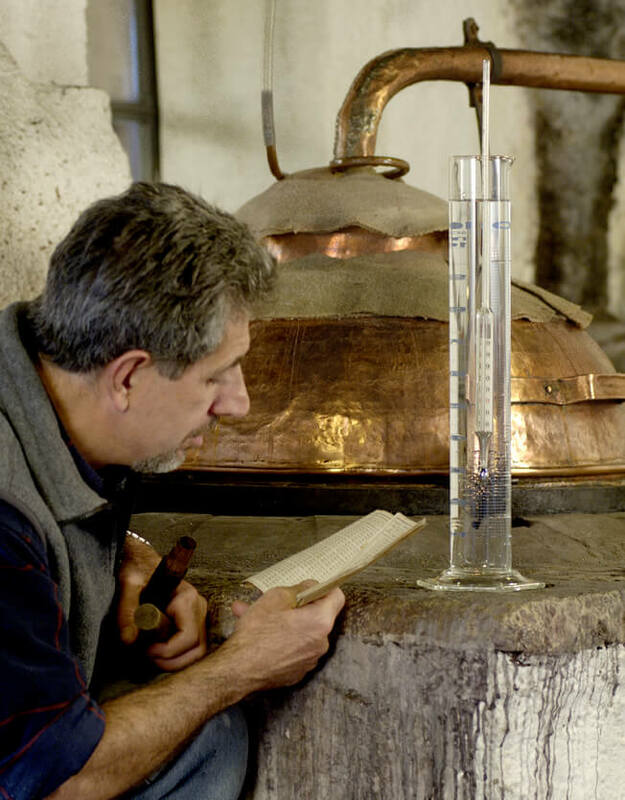 The small production, limited by law for this type of distillery to only 300 anhydrous litres a year (1,250 ½ litre bottles), and the completely manual method of production, enable the meticulous selection of the quality of the marc and allow the distiller to control the quality of the grappa, ensuring that it has the particular aromas that distinguish it.